When you trust in the Lord you will become strong. You will run and not get weak, You will walk and not get tired. I wish you a long life in success. Happy Birthday. Fly like an eagle, have long life. 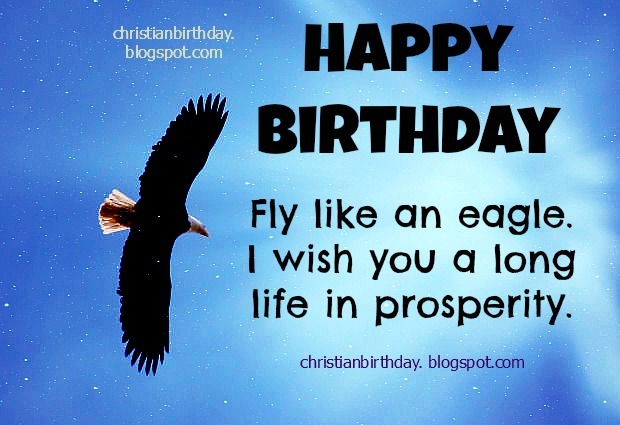 Free christian cards for your friends, man, woman, facebook friends, Say a nice Bible verse and christian quotes to people you love most, your son, daughter, on their birthday. Nice images to congrats.